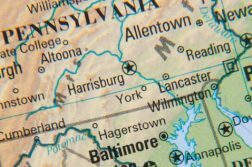 A new bill in Pennsylvania would give communities greater control over truck stop gambling, part of a gambling expansion package passed in 2017. The bill, SB 87, was introduced in January by state Sen. Scott Martin, a Republican. 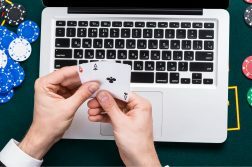 Prior to the Pennsylvania Gaming Control Board issuing a truck stop gambling license, the host municipality would have the option to let regulators know that it wants to prohibit the video gambling. Local governments would have to do so no later than 90 days after that. A municipality also may rescind the prohibition at any time by delivering a new resolution of the municipality’s governing body to the PGCB. The PGCB would refund fees if an applicant for truck stop gambling is later blocked by a municipality. According to Transport Topics, the PGCB has said that 65 of the estimated 300 eligible truck stops have applied for gambling licenses. Forty-three have so far received conditional approval. In October 2017, Governor Wolf signed Act 42, an omnibus gaming bill, into law. One of the key components of this legislation allowed local governments to opt-out of having a category 4 “mini-casino” in their municipality. By December 31, 2017, over 1,000 municipalities across the Commonwealth adopted resolutions to opt-out. In addition to many other types of gaming expansion, Act 42 also created the opportunity for truck stop establishments who meet certain criteria to host up to 5 video game terminals (VGTs). An opt-out was available, but only for counties who had a Category 1, 2 or 3 casino already in their county. Ultimately 10 of the 12 counties with casinos adopted resolutions to opt-out. Municipalities that do not want to see gaming expand into their communities should have the right to say no. The people should have the ability to maintain and protect their individual culture and that is why we are introducing legislation that will allow all municipalities, by resolution, to prohibit the use of VGTs at local truck stops. We hope you will join us in co-sponsoring this timely legislation. The bill sits in the Community, Economic & Recreational Development, and it hasn’t yet had a hearing. It has five co-sponsors, according to the Pennsylvania Legislature’s website.